Ordinary bitter — great for extraordinary beer drinking sessions with good friends. Here is another example recipe using the countertop partial mashing method. 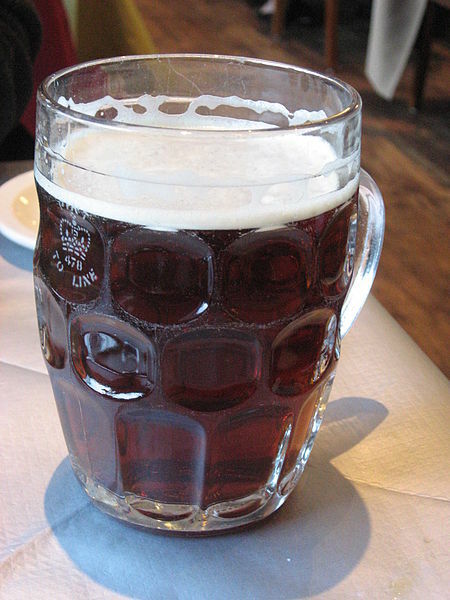 This is an ordinary bitter, an English session beer, presented in a 5.0-gallon (19-L) homebrew recipe formulated for either partial mashing with a 2-gallon cooler (main recipe) or a 3-gallon cooler (see option). 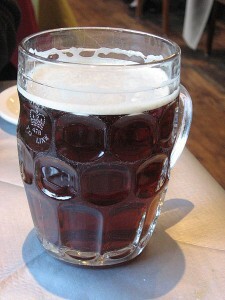 Compared to a bitter made with an extract-with-steeping-grains formulation, this beer has more aroma from the pale malt. Compared to some other partial mash methods, this uses more grains and less extract. Roughly 70% of the fermentables in this recipe come from the partial mash. This original version of this recipe appeared in an article about going grain-to-glass in 7 days.